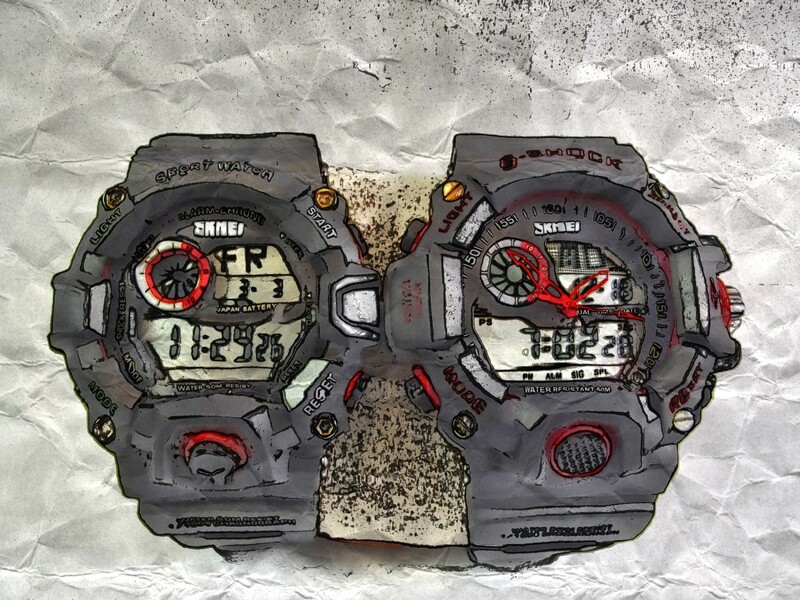 Many of the watches I review are recycled as Christmas gifts. 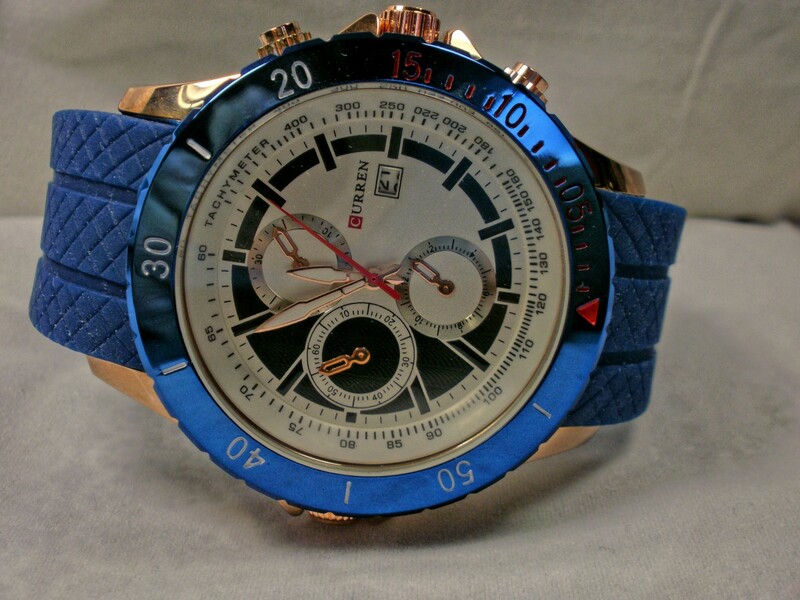 One of my relatives, noticing this tendency, took me aside and noted that he was not overly fond of wrist watches. A pocket watch, however, would be welcomed. Fair enough. 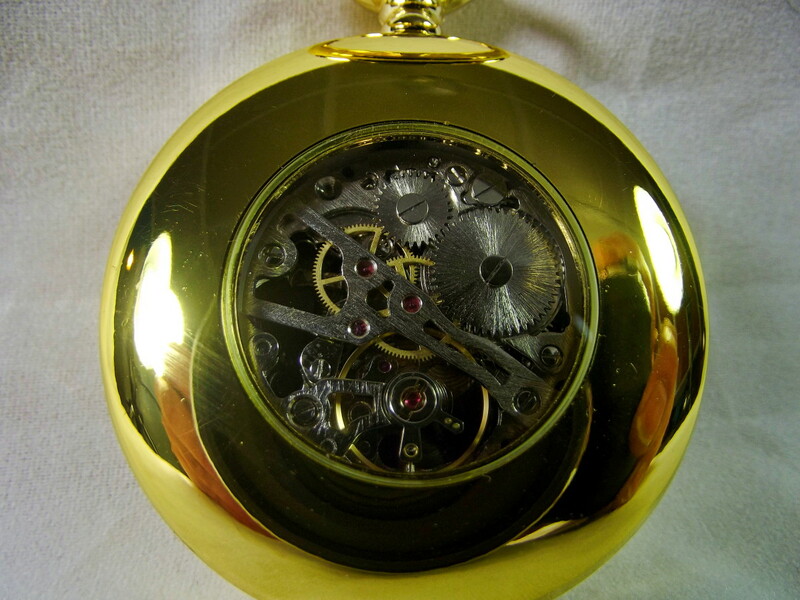 I checked out eBay and Amazon, quickly discovering a large selection of pocket watches ranging in price from three dollars to 10,000. 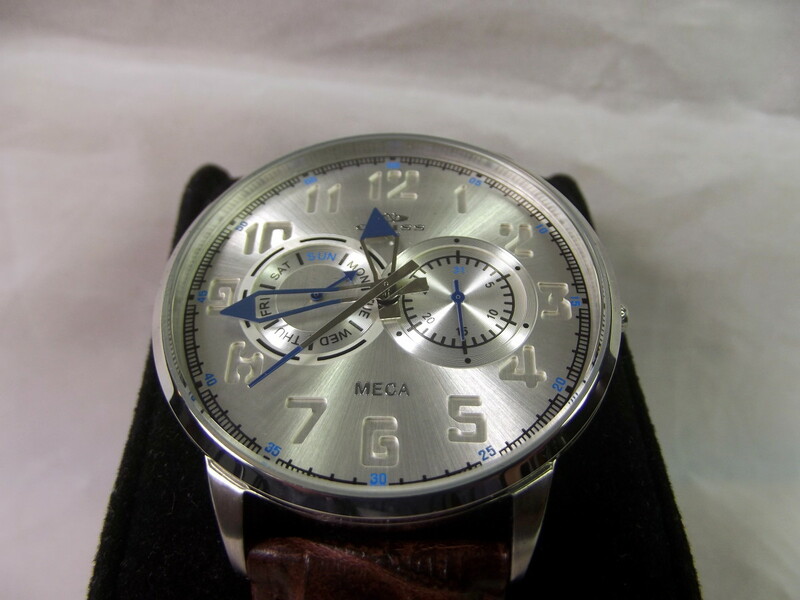 The cheapest watches available actually looked good but were fitted with quartz movements. That was cheating; in my opinion, old-fashioned styled timepieces should be mechanical. 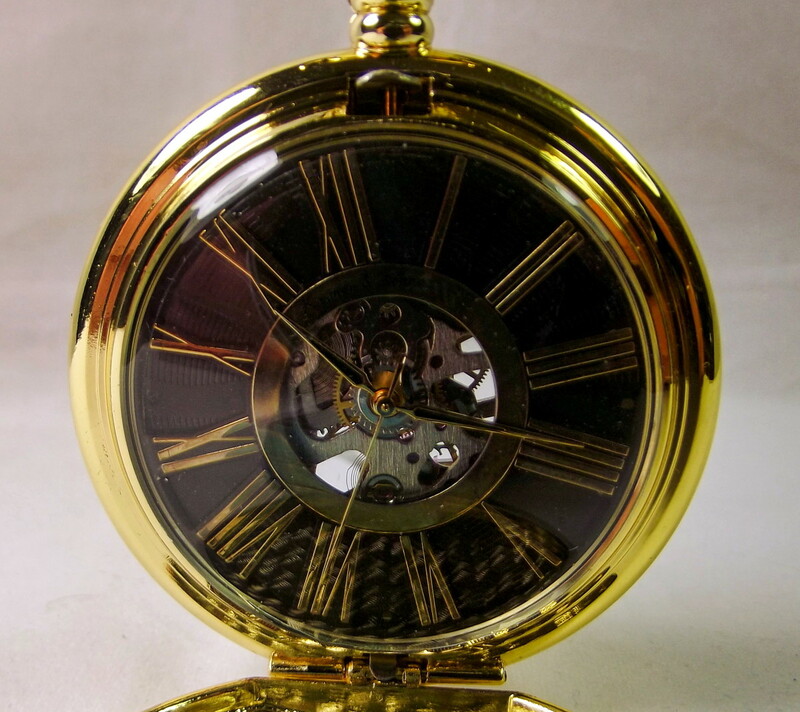 All the pocket watches in my price range originated from China. There were a number of brands available but since I already own a couple of timepieces manufactured by Kronen & Söhne, I concentrated on their offerings. 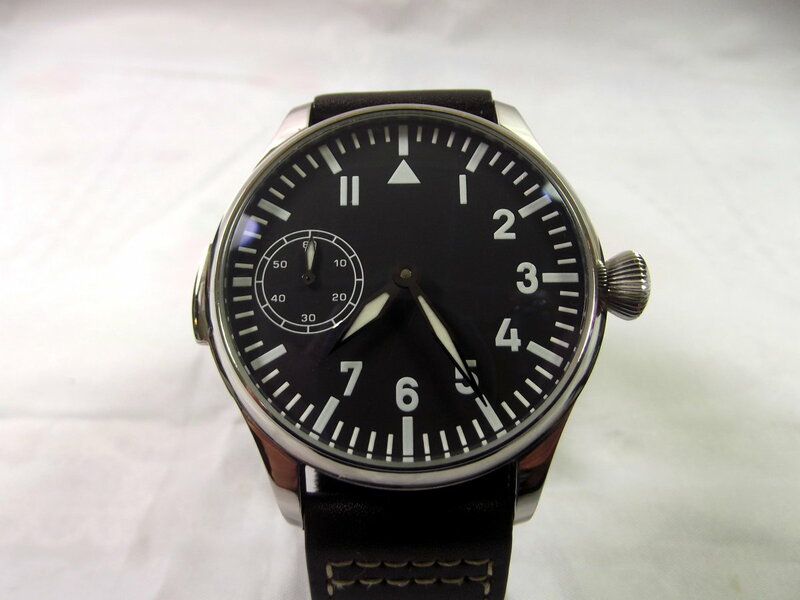 In the end, I settled on the KSP034, a handsome watch which happened to be on sale. Packaging is a strong point for Kronen & Söhne. 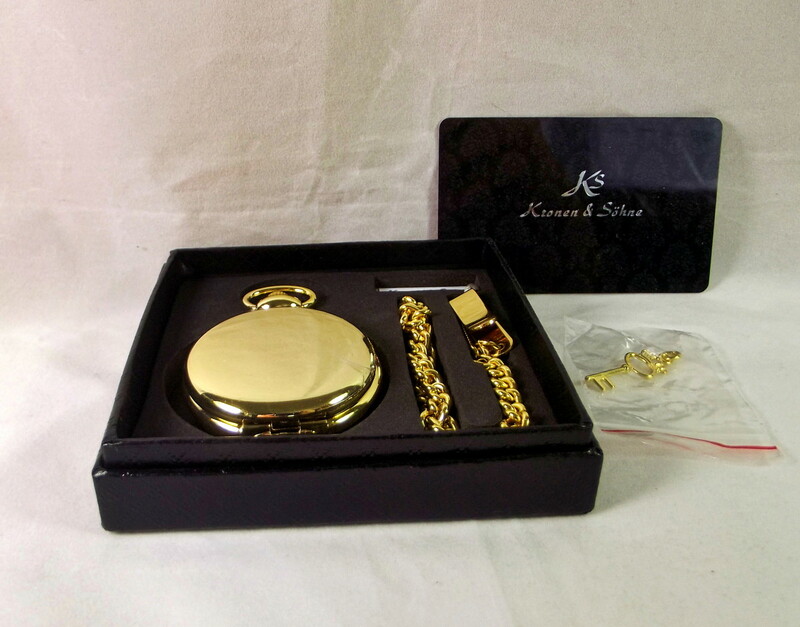 My new KSP034 came encased within an attractive cardboard watch box along with a gold-colored chain, key fob, tag, and international warranty card. The only quibble I have is that the foam cut-out in which the timepiece sat, was designed for a slightly larger timepiece. My new watch sports a shiny gold alloy case. It is also available in silver and gray. Pushing down on the crown disengages a latch designed to secure the front cover. 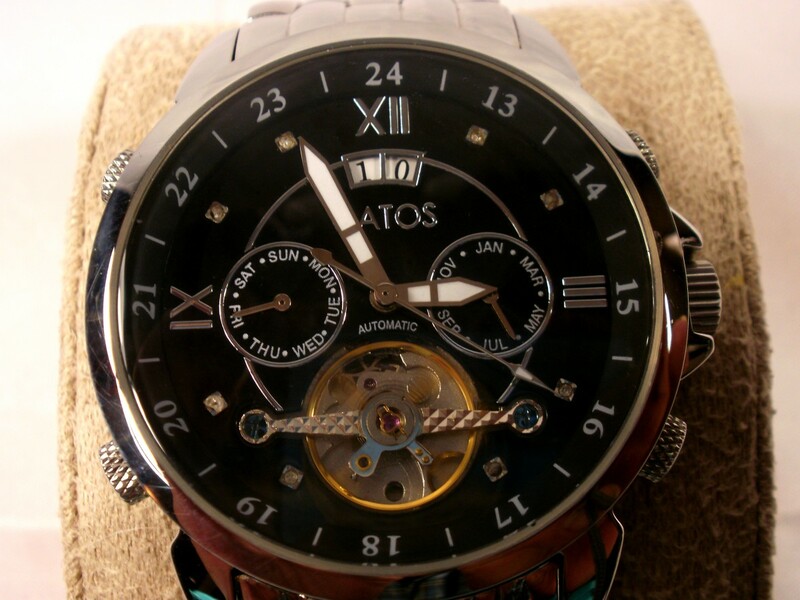 This timepiece’s dial is gray and appointed with large gold Roman Numerals. Its center is removed, allowing a view of the movement. A variety of styles are available for those who dislike this variation. 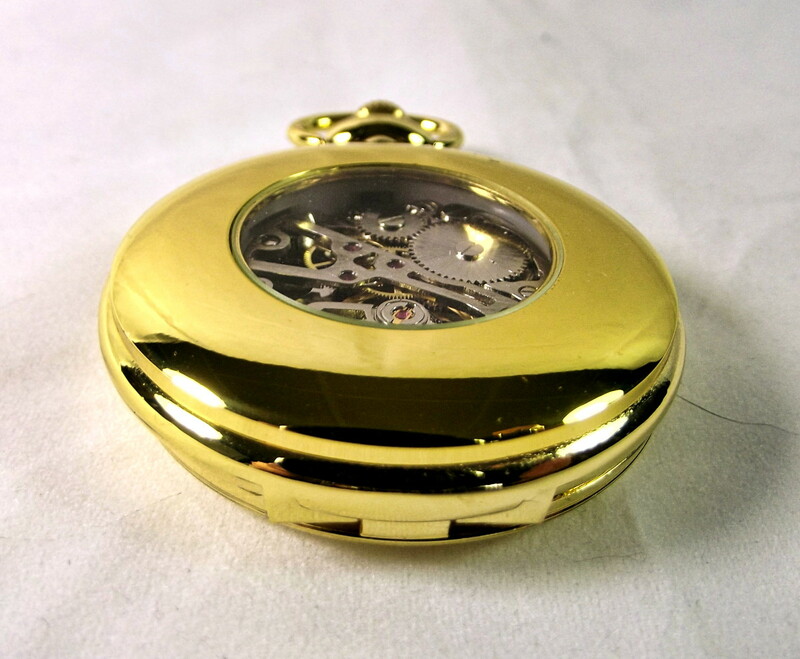 The caseback includes a circular window, through which the mechanical, hand-wound movement can be observed. Both the caseback window and dial are composed of an acrylic material. Kronen & Söhne is trademarked by TRILLION TOP COMPANY LIMITED which was founded in 2012 and is headquartered in the international financial center of Hong Kong. 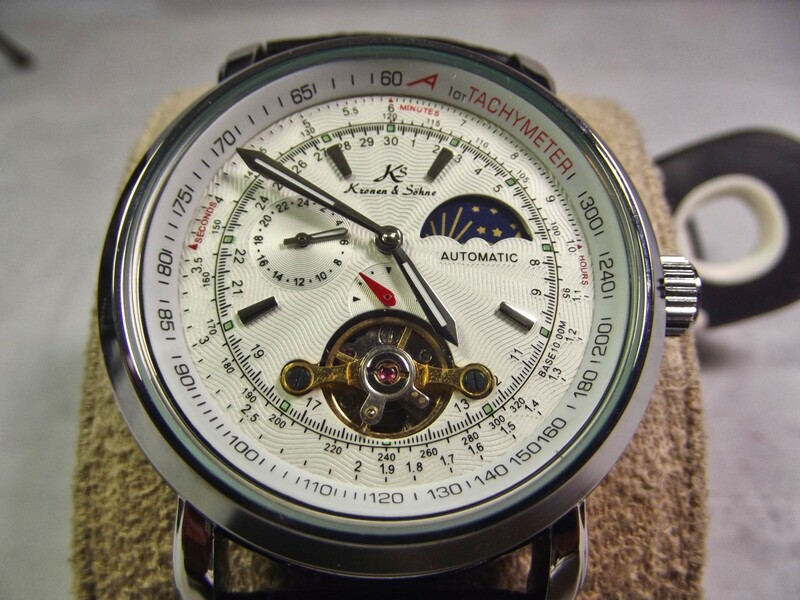 This company, an import/exporter, owns several watch brands and markets their products around the world. Kronen & Söhne do not actually operate a watch factory. My expectation is that they purchase the required components from a variety of Chinese manufacturers. These parts, in turn, are assembled into watches and packaged by other companies. The outside case is very bright and shiny. While some people will appreciate the little window, displaying the movement, I would have preferred a solid caseback. 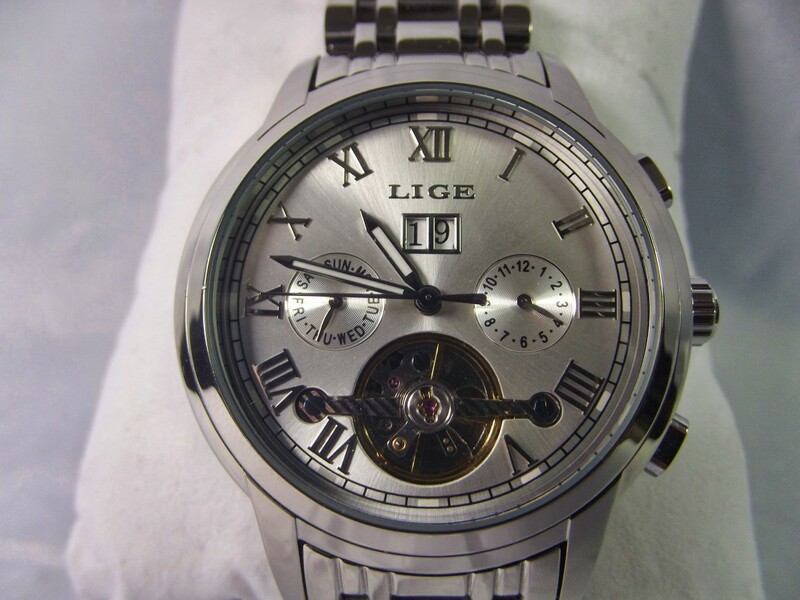 The gray dial with large Roman Numerals looks great, but this styling has one drawback. 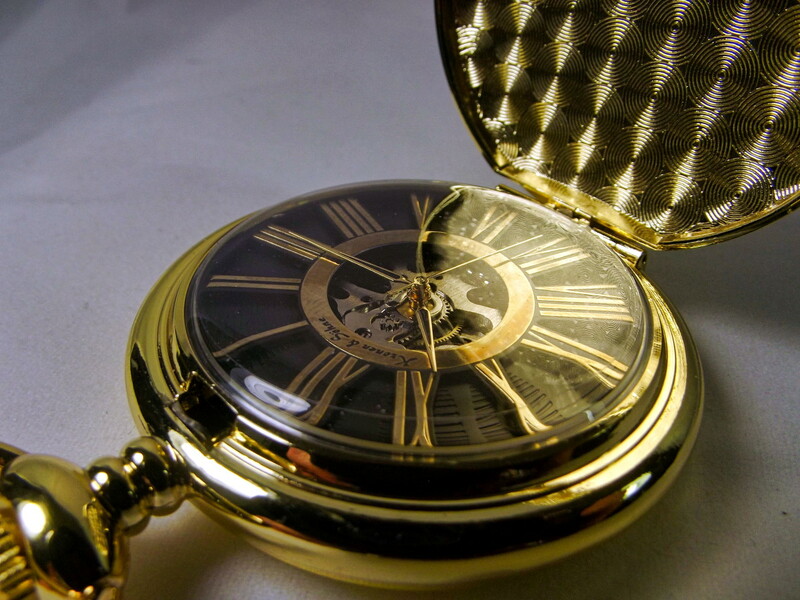 The gold numbers tend to obscure the watch's similarly colored hands as they sweep around the dial. 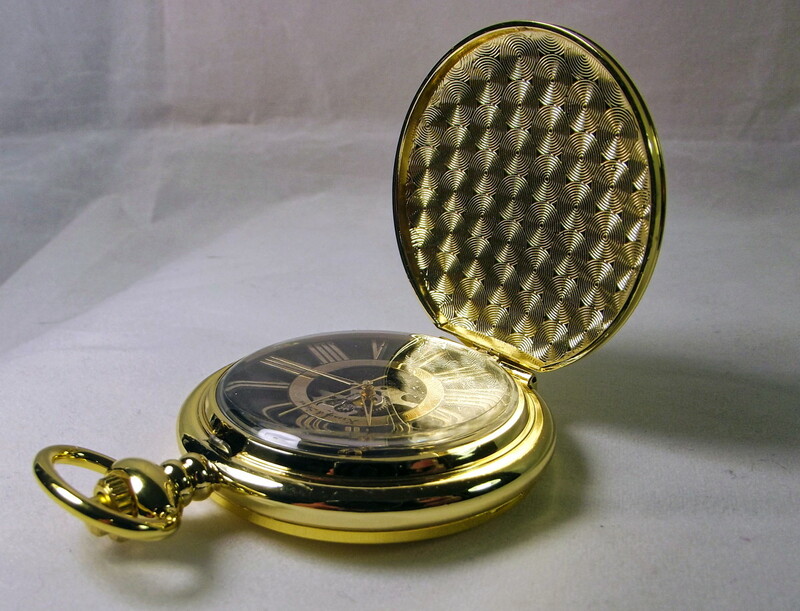 This pocket watch is equipped with a matching chain and a gold key fob. 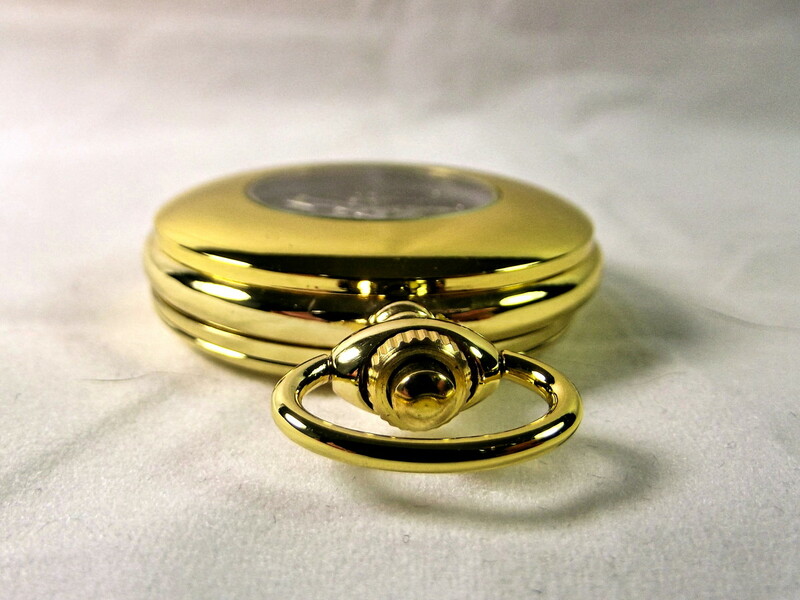 A smallish timepiece; it will fit snugly into the tiny pocket sown into most brands of jeans. I tested the Kronen & Söhne KSP034 over a four-day period, winding the timepiece every twelve hours. It lost an average of 7.5 seconds per day. Considering the price range of this watch, this result is excellent. After being wound for the final time, the KSP034 continued to run for thirty-two hours. This watch’s dial was installed incorrectly. Under normal circumstances, the twelve o’clock indicator can be found directly below the timepiece’s crown. In this case, the crown was centered between the twelve and one o’clock indicators. The hour hand of a timepiece should be positioned at the proper hour indicator at the same time as the minute hand reaches the twelve o’clock position. On the KSP034, this does no occur until the minute hand approaches the half-hour point. This watch was sloppily assembled and lax—perhaps non-existent—quality control measures failed to ensure it was pulled from production. The alloy case feels flimsy but, to be honest, has suffered no dents or scrapes during its testing period. The latch used to release the front cover works well and should continue to do so. Both the dial and rear display window are composed of an acrylic material instead of mineral glass. The front cover will adequately protect the dial but, over time, the display window may become scratched. I could not determine the make of this pocket watch’s movement. It is a cheapy for sure, but sometimes these no-name mechanisms operate remarkably well. 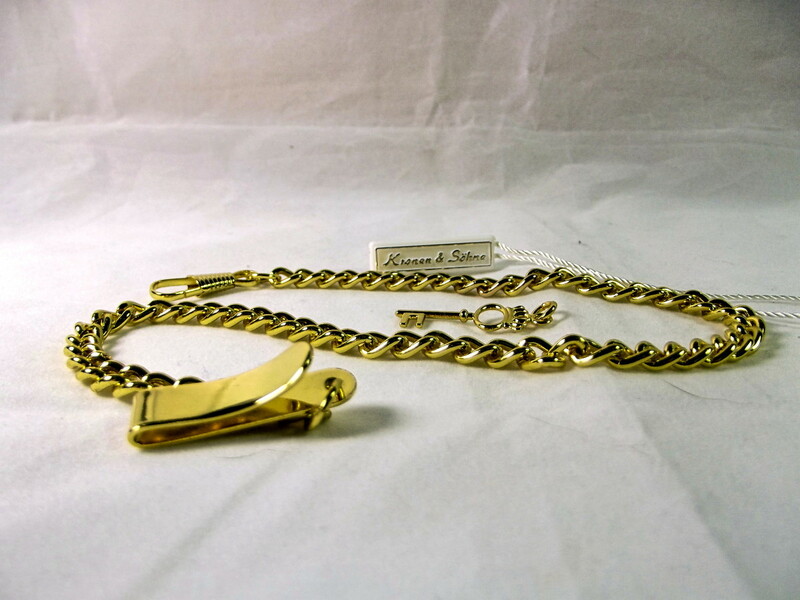 The included chain is strong enough to support the weight of this timepiece. 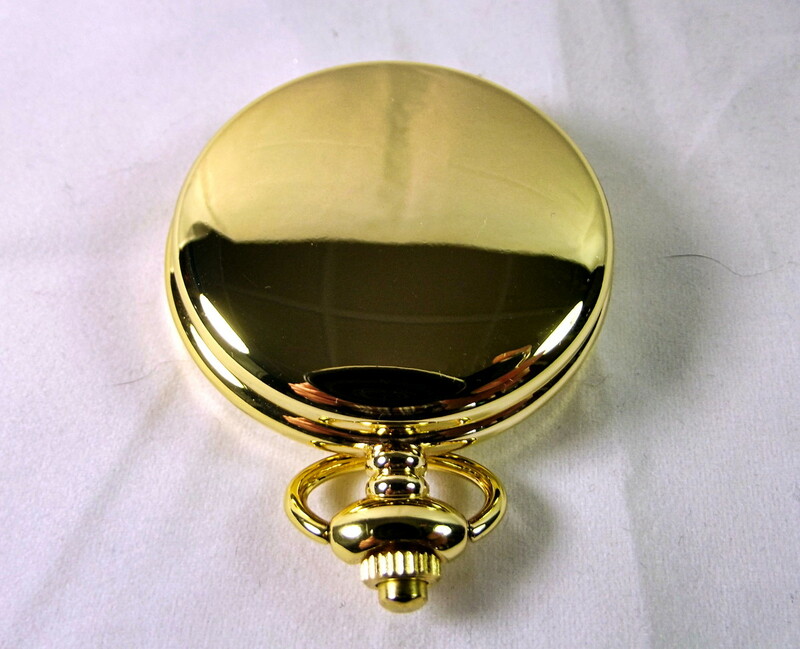 Water resistance was not listed, suggesting this pocket watch should be kept away from liquids. Kronen & Söhne’s KSP034 is a great looking, accurate, and reasonably priced mechanical pocket watch. Unfortunately, due to inadequate quality control, I cannot recommend this timepiece. Is your Kronen & Söhne mechanical watch still working? I have not been using it since the test. I did wind it a few turns this evening and the watch started ticking right away.